Apple sells Motion 5 and Compressor 4 as standalone applications through the Mac App Store. Although not essential for running FCP X, each adds useful functions. Motion 5 is an advanced compositor that’s optimized for the design and animation of motion graphics. 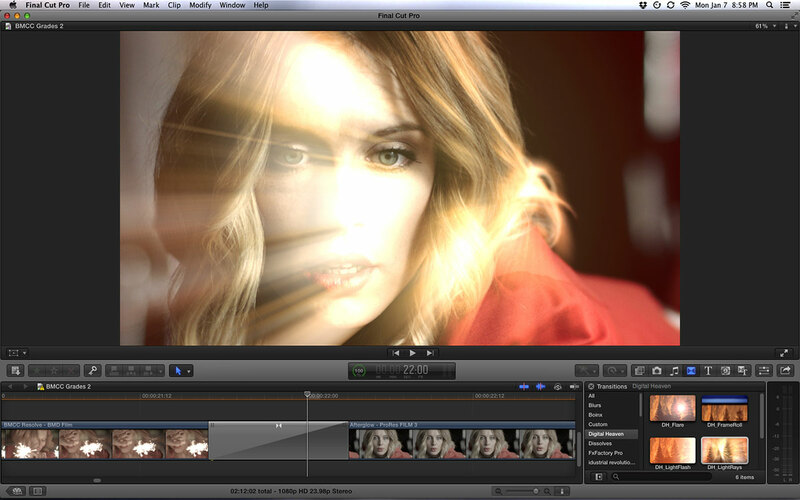 It also has become an effects creation tool for Final Cut Pro X. 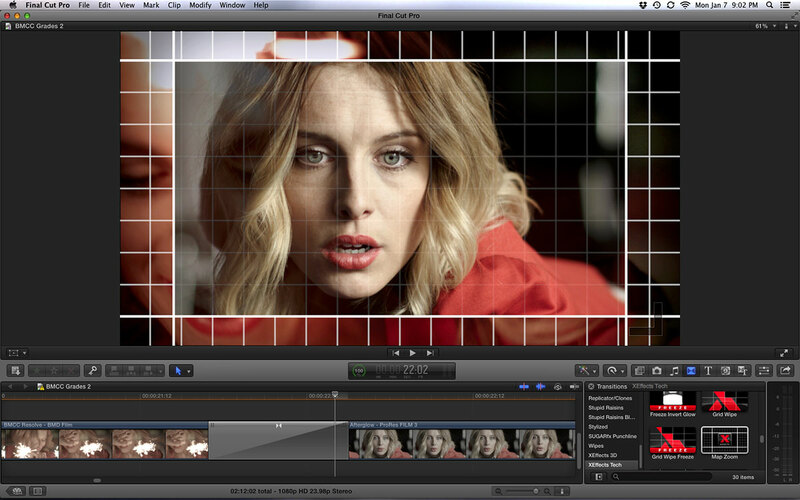 Many of the filters, transitions and generators found in FCP X are actually Motion templates. It’s easy to open a copy of an effect from FCP X into Motion and customize it. Likewise, you can create you own effects plug-ins from scratch and “publish” them back to Final Cut. Many of the free or low-cost filters available for FCP X were created exactly this way. Compressor 4 is an updated version of Apple’s encoding software. This new version is faster and better optimized for current hardware and includes new presets for Apple devices. Since DVD and Blu-ray creation has been integrated into the FCP X Share menu, as well as Compressor, this will be the tool you need for separate production of “one-off” review discs. Final Cut Pro X introduced a new version of XML, which differs greatly from the XML used by Final Cut Pro 7 or Adobe Premiere Pro. Yet, this the core method Apple provides for interchange with other applications. If you need AAFs, OMFs, FCP 7 XMLs, EDLs and so on, you first have to go through the new FCPXML format. To date, only a handful of applications, like DaVinci Resolve, can natively read/write FCPXML; therefore, general interoperability will require one of several third-party translation utilities. Intelligent Assistance/Assisted Editing jumped into the game early with applications designed to make FCP X a better citizen of the post world. Xto7 for Final Cut Pro and 7toX for Final Cut Pro are XML translation utilities that let editors bring legacy FCP projects into FCP X, as well as to go from FCP X back to FCP 7 (or Premiere Pro). Although the need for 7toX seems obvious, going in the other direction (Xto7) is also quite useful. For instance, it’s the only efficient way to create an audio OMF from an FCP X project. Use the translation to get the timeline into FCP 7, where you can generate the OMF export. This is also a good way to get from FCP X to Apple Color, if that’s still your preferred grading application. 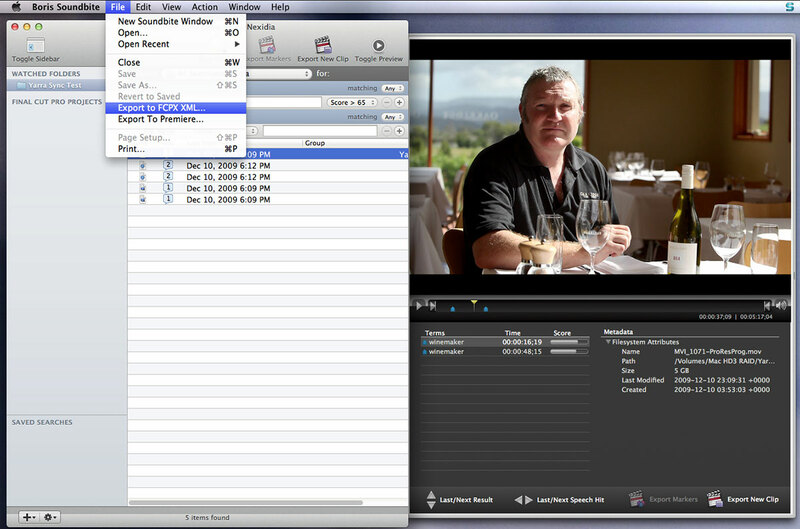 Other applications for FCP X from Intelligent Assistance include Sync-N-Link X. It is designed to batch-process double-system audio synchronizing based on timecode. 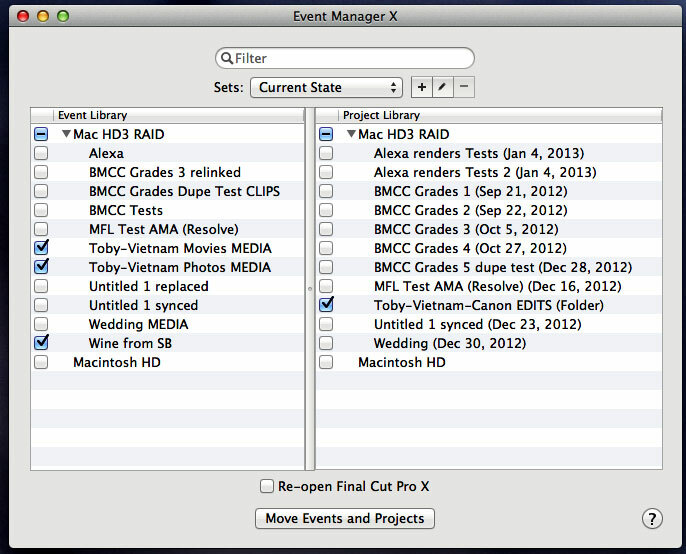 Lastly Event Manager X is a tool for editors to control which Events and Projects show up inside Final Cut Pro X at launch. Apple left EDL generation to third-party developers. XMiL Workflow Tools’ EDL-X is the application to use if you need to generate CMX 3600-compliant edit decision lists (EDLs). This is still an important need in many industry workflows, such as sending files and a sequence to an outside color correction or visual effects facility. EDL-X gives you control over customizing lists based on the needs at the other end. This includes length of reel names, which data is used for the reel names and the inclusion of source lists. Final Cut Pro X uses a trackless timeline design, which doesn’t translate to a layout required by audio mixers working on a DAW, like Avid Pro Tools. The software designed to translate an FCP X Project (edited sequence) for Pro Tools use is Marquis Broadcast’s X2Pro Audio Convert. It reads the FCPXML file and generates an AAF file with linked or embedded media. This is compatible with newer versions of Pro Tools. In addition, the FCP X Roles and Sub-roles feature is used to organize the track layout when the file is opened in a Pro Tools session. What if you want to mix the audio yourself, but don’t own Pro Tools? There’s another option. 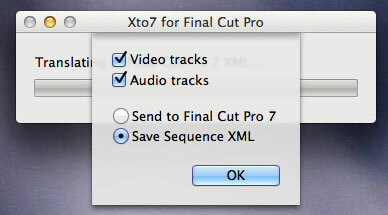 Assuming that Soundtrack Pro is installed on your computer (part of the “legacy” Final Cut Studio) or you’ve purchased Adobe Production Premium CS6, which includes Audition, then you can also use Xto7 to translate your timeline’s audio into XML. Import the translated XML list into one of these DAW applications, which will automatically link to the audio files on your hard drives. Now you can mix the audio in a familiar track-based environment. 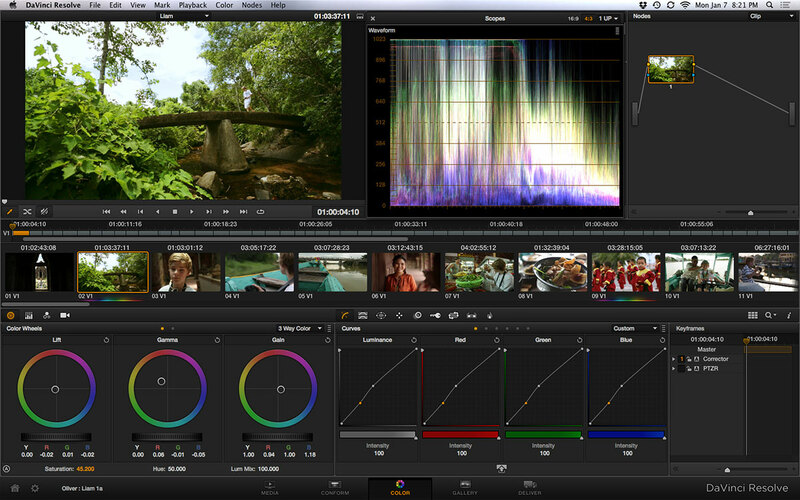 If you’ve left Apple Color behind, then Blackmagic Design DaVinci Resolve is tailor-made for Final Cut Pro X. The roundtrip between the two applications is solid and even their user interfaces sport similar aesthetics. Resolve is a world class grading tool used on blockbuster features, but even the free version will cover nearly all of your needs. Another interesting free (donation requested) application is ClipExporter from Mind Transplant. This translation utility can generate composition files for SynthEyes, Nuke and After Effects from FCP X timelines, as well as self-contained or reference QuickTime movies from individual Event clips. Two more applications that will add powerful capabilities to your system are Red Giant Software’s PluralEyes 3 and Soundbite from Boris FX. PluralEyes 3 is a standalone application for clip synchronization using audio. It can sync double-system productions, as well as multiple camera angles based on matching audio waveforms, without the use of timecode. 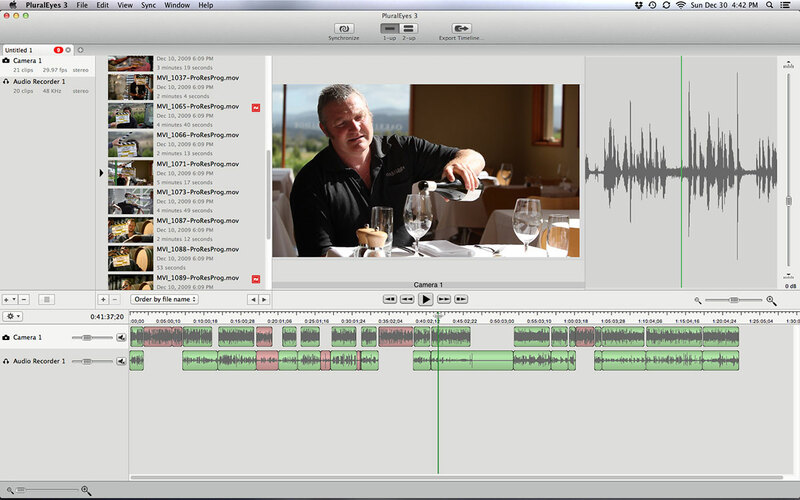 This new version supports the FCPXML format, as well as roundtrips to and from FCP X.
Soundbite is a dialogue search engine powered by Nexidia and used to be known as Get before Boris FX picked up the product. It’s the cousin of Avid’s PhraseFind, but operates outside of any specific NLE. To use it with FCP X, first analyze a folder of media to search for specific words, phrases or terms. Markers are placed at the word matches within the “found” clips. Then generate an FCPXML file for these search results, which will be imported into Final Cut as a new Event, complete with markers placed at the locations of the word matches. Finally, let’s not for get the useful workflow and maintenance/system management tools from Digital Rebellion, like Preference Manager and Pro Versioner. 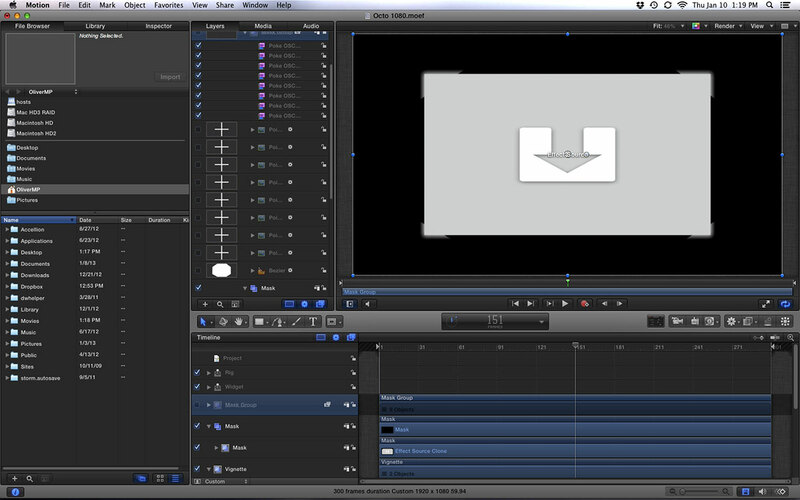 Video effects in Final Cut Pro X are based on Motion templates built on an updated version of the FxPlug architecture. Many of the effects created for FCP X by third-party developers are simply a combination of native Motion effects, which have been “published” as a single FCP X effect. In this process, the developer can choose to limit or reveal as many adjustment sliders as is appropriate. 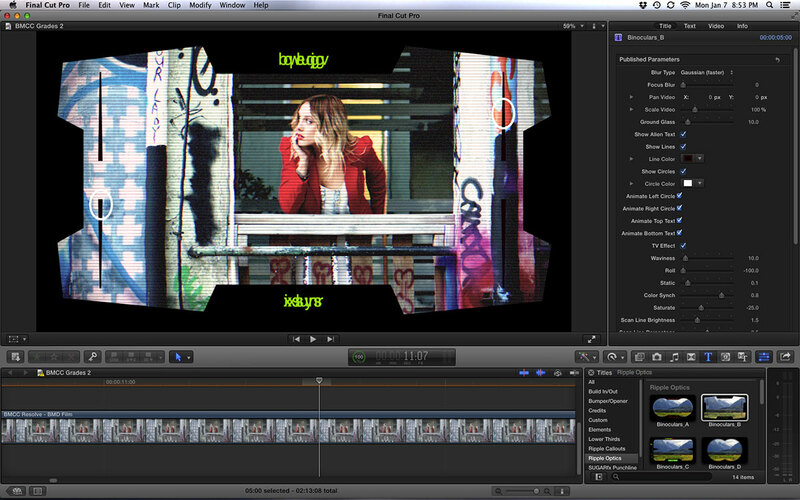 Therefore, a very complex effect can be controlled with a single slider within the FCP X inspector pane. Some plug-in developers go beyond that, of course, but the combination of the traditional developers and the new crop of editor-designer-entrepreneurs has led to a rich ecosystem of effects just for FCP X. 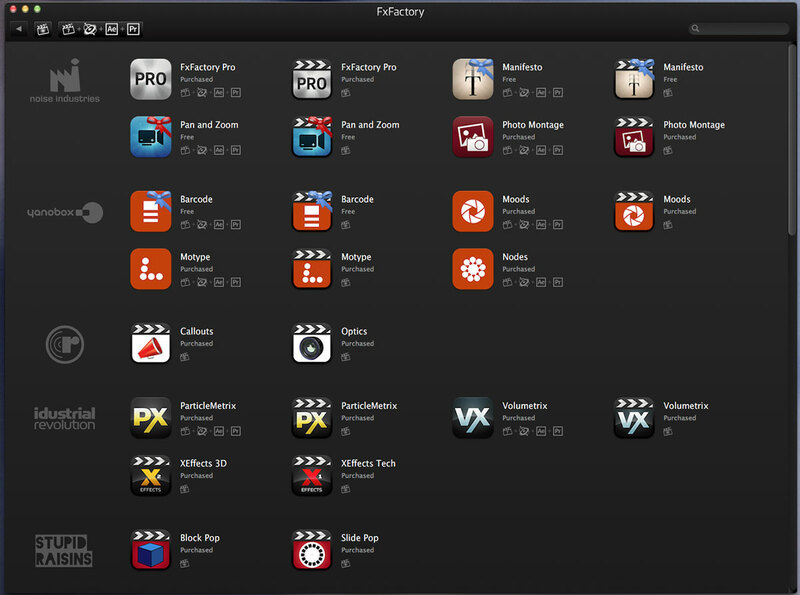 All of the major developers have introduced FCP X products. These include Boris FX, Coremelt, GenArts, Red Giant, Tiffen, Digital Film Tools, RE:Vision, DigiEffects, CHV and many more. I find those from Noise Industries and Digital Heaven to be the best match for most users. Digital Heaven’s Transitions Pack, BoxX, ReincarnationX and SubtitleX effects form a nice combination of tools that you’ll use every day. Not overly flashy, but very useful. Noise Industries’ FxFactory is the only comprehensive package that you can grow as your need increases. The free version acts as a license manager for the partner plug-ins, while the paid Pro version adds a set of Noise Industries’ own filters. Most of these plug-ins run in FCP 7/X, After Effects and Premiere Pro, although a few are specific to only FCP X. Since these plug-ins are developed by individual partner companies, like Nattress, LucaVFX, idustrial revolution, PHYX and others, you can buy the filters as you need them and grow the repertoire over time. Final Cut Pro X naturally includes a nice complement of built-in filters, so before you started draining the bank account, you should definitely check out what’s already included. If you want freebees based on Motion templates, simply scour the web for a plethora of effects. FCP.co’s free plug-ins forum and the Alex4D filters are a good starting point. FCP X also includes a wide range of audio filters brought over from Logic. It also recognizes most third-party AU (Mac audio units) filters, like Focusrite or Waves plug-ins. 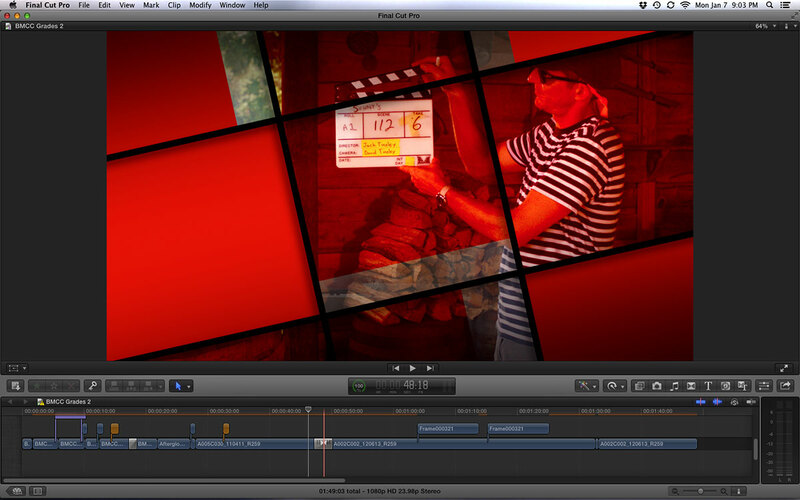 Apple Final Cut Pro X is proving to be a viable platform for the professional user. You’ll find a range of tools that augment FCP X, which will enable you to complete productions at nearly any level of complexity. The supporting ecosystem of applications, utilities and plug-ins is growing every day and quickly expanding this next generation Final Cut Pro beyond it seemingly simple beginning. This entry was posted in apps-gear-filters, editing, Final Cut Pro X and tagged DaVinci, FCP-X.